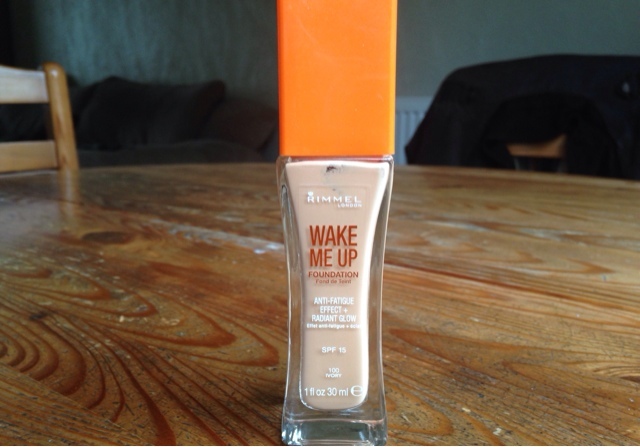 Rimmel's Wake Me Up Foundation is quite interesting for a number of reasons. The shade I bought was Ivory (it's the shade I usually go for in foundations) and it is quite dark once you first apply it to your skin. I'm quite pale so I need to be careful that the products I put on my face don't leave me looking orange. Blending is definitely needed with this foundation - I put it on top of my moistuiser and primer and blend it in with Ecotools Bamboo Foundation Brush. Many people have complained about the glittery finish of this foundation. Whilst I can notice some shine, it isn't massively noticeable once you put your powder, concealer and blusher on. I think it's included to achieve the radiant glow but it's not as obvious as some people make out. 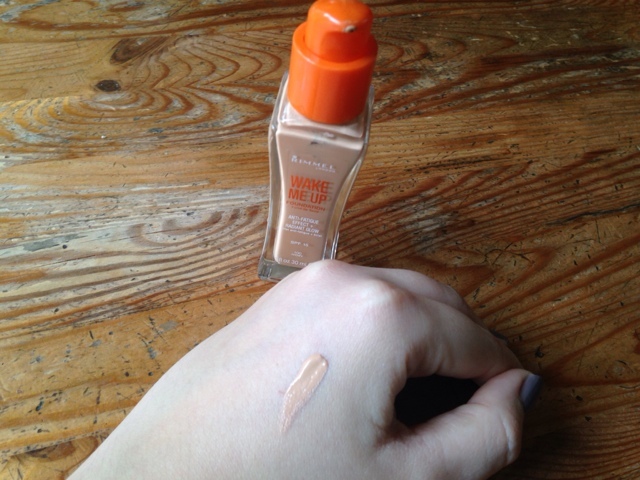 The SPF quality of this foundation is a massive benefit. I always favour products with a hint of SPF to protect the skin. It also claims to have an anti-fatigue effect. 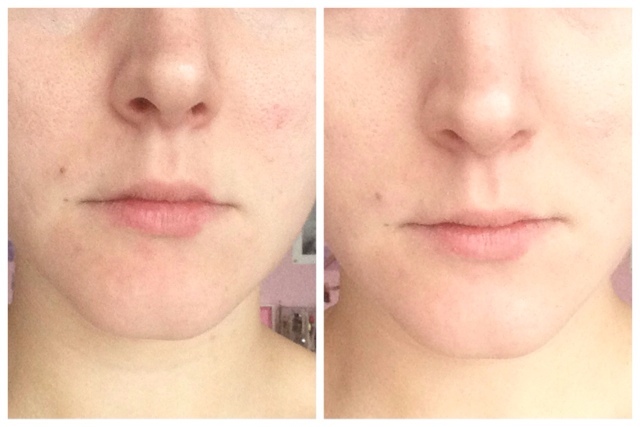 I've included a before and after photo to show the difference the foundation makes. I have a few scars on my skin from bad acne as a teenager so that's why my skin looks so bad. I didn't use much foundation for this photo - this is just a tiny bit without any concealer. My skin does look better but that's with a lot of blending. That's the only real negative to this foundation - you need to blend it in quite a bit but other than that I'm liking it at the moment. I do prefer my Max Factor Xperience foundation but it's sadly been discontinued (apparently). I blend it with my RT brushes - they tend to work well with this foundation and give a lovely glow!